Bringing '24K Magic' to a venue near you. Bruno Mars simply cannot be stopped. 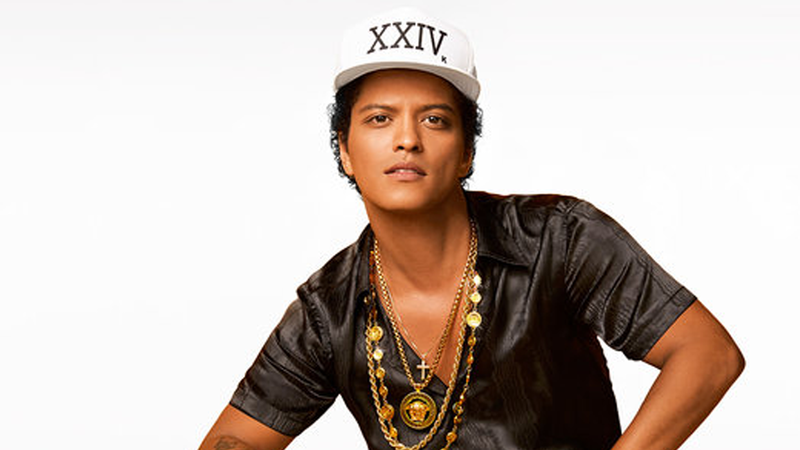 After taking the world by storm with his powerhouse vocals, jazzy dance moves, and of course, the Mark Ronson produced, chart-topping success of “Uptown Funk”, the singer-songwriter has moved on to create his third studio album, 24K Magic. Slated to hit the shelves on November 18, the upcoming release will also come with a massive set of tour dates in 2017, and we couldn’t be anymore stoked about it. Mars’ 24K Magic World Tour boasts a whopping 85 dates worldwide, making stops in countries such as England, France, Germany, Italy, Canada, and his homeland, the United States. The tour starts on March 28, so be sure to dust off your dancing shoes, practice your favorite moves, and then track Bruno Mars on Bandsintown to see when he’ll be coming to a venue near you!